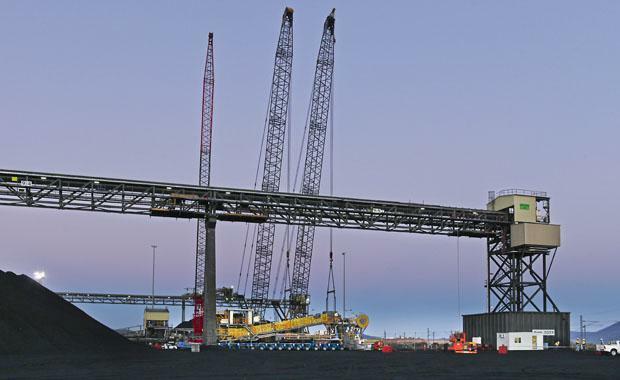 Walz Group was recently engaged to undertake the construction of Wesfarmers’ Curragh Run-Of-Mine (ROM) Upgrade. Located near Blackwater in Central Queensland, Curragh is one of Australia’s largest independent coal mines, employing around 500 permanent employees and producing around 8.5 million tonnes of export metallurgical coal and 3 million tonnes of domestic steaming coal every year. Wesfarmers Curragh General Manager Craig McCabe said the Curragh ROM Upgrade Project was an investment in the long-term materials handling capability of the mine, which would underpin the strategic direction of Curragh. “We look forward to Walz Group completing the construction and procurement aspects of the project, alongside the Jacobs Group, to deliver a successful project by the end of 2015,” Mr McCabe said. Walz Group CEO Mark Gregory said although the resources sector had been turbulent in recent years, the company had managed to adapt its business model to better suit the current market conditions. The company’s double digit growth comes off the back of a tough few years battling project cancellations and depressed commodity prices.